New York Fashion Week started last Wednesday, and goes all the way through this week. Phew. I followed along via Instagram Live from a few of my favorite pop culture and fashion moguls: Eva Chen, Virginia Nam, Kristie Dash (my spirit animal), and BryanBoy. Trying to feel luxury via my phone isn’t the best, but I am still able to see the celebs, the runway models, the venues, the drink (and snack) offerings, and most importantly – what’s trending. After catching shows such as Calvin Klein, Tory Burch, Carolina Herrera, Prabal Gurung, Tom Ford, Alexander Wang, and Victoria Beckham, I’ve added a lot to my “want” list. OK so these are Eva’s personal shoes, and she has several fluffy shoes that make me the ultimate jealous – including a new line from Birkenstock. Eva also showcased the fluff on the runway throughout the week – both heels and flats alike. I also noticed quite a few anklets – but not enough for me to think it’s a definite in. Are they coming back?! 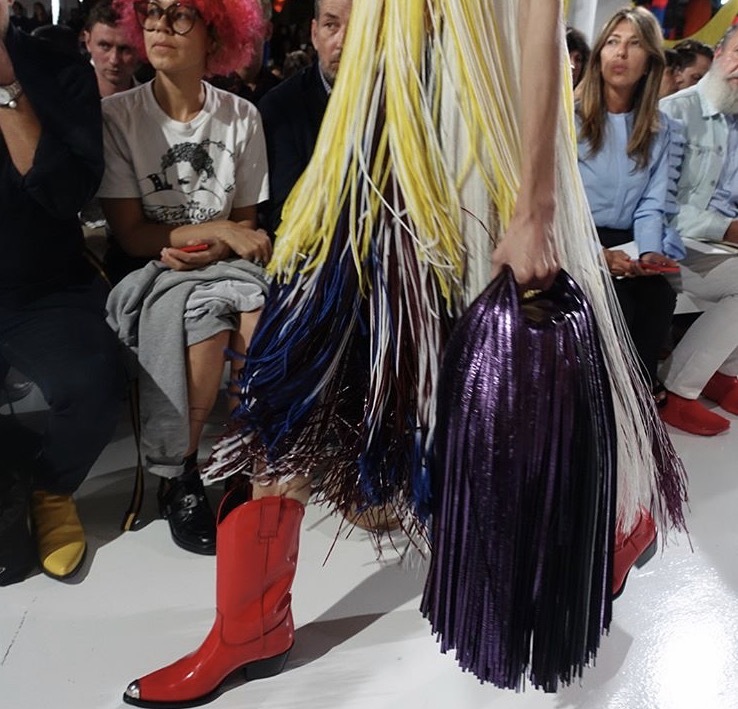 We saw a lot of this on the runway – layered fringe. Every single show had fridge pieces scattered throughout. It was almost as if the more fringe, the better. Itty-bitty sunglasses are coming back in just as quickly as they went out in the early 2000s. 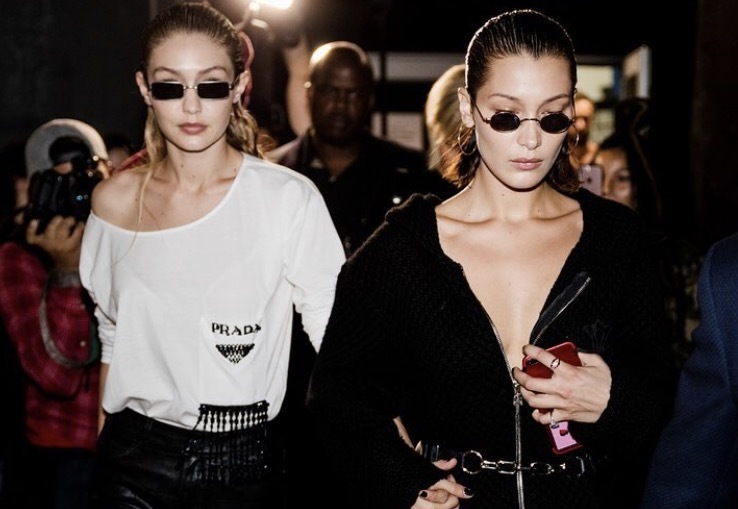 Here, sisters Gigi and Bella Hadid show off their tiny sunglasses, after finishing walking in a NYFW show. And I just got rid of my little Ray Bans, sigh. 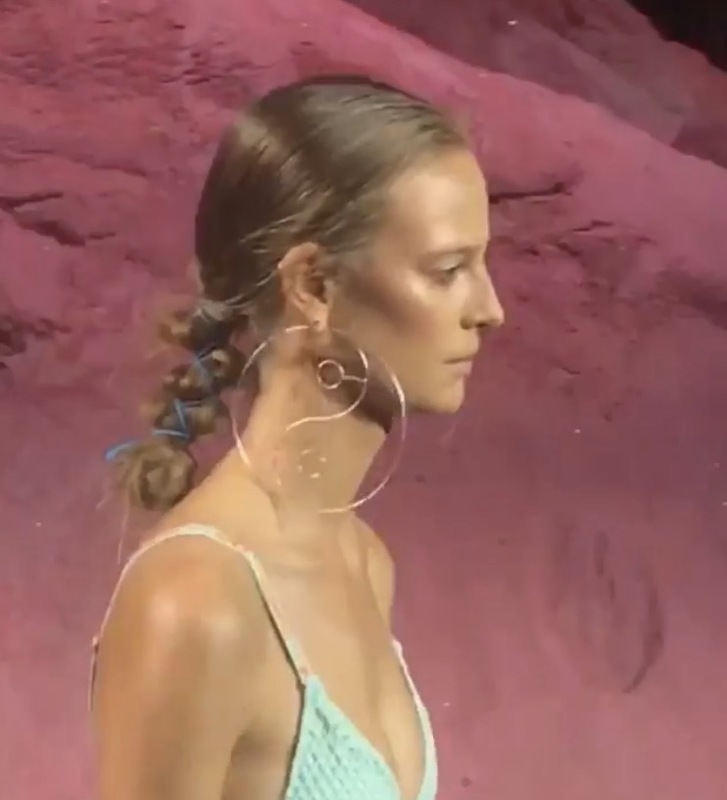 I’m happy that runway hair gets messier by the year. I still feel though that fashion’s version of ‘untamed’ would still take major prep-work. I’m on the air-dry then pretend it looks messy on purpose wagon. Also, check those ying-yang hoops. This is a cultural thing for us right now that came directly after election season. Feminism isn’t going anywhere. You will see it evolve; however, it will be more obvious and universal.